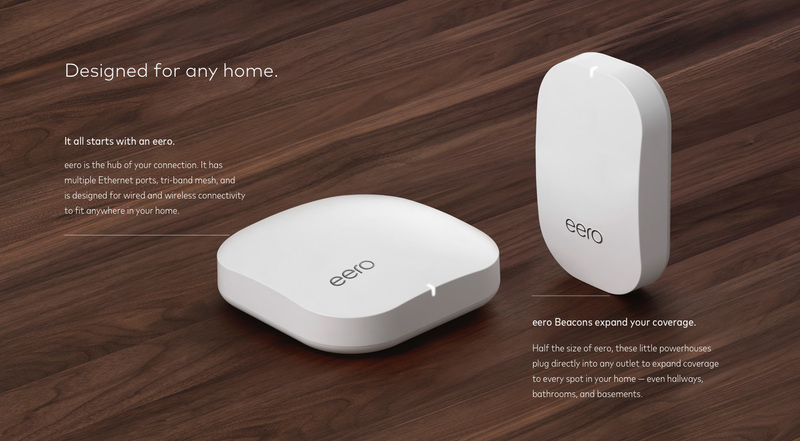 Includes one eero Whole Home WiFi System and one eero Beacon which covers up to 2500 sq. ft.
Additional eero Beacons add an additional 1000 sq. ft. of WiFi coverage. Plug and play. 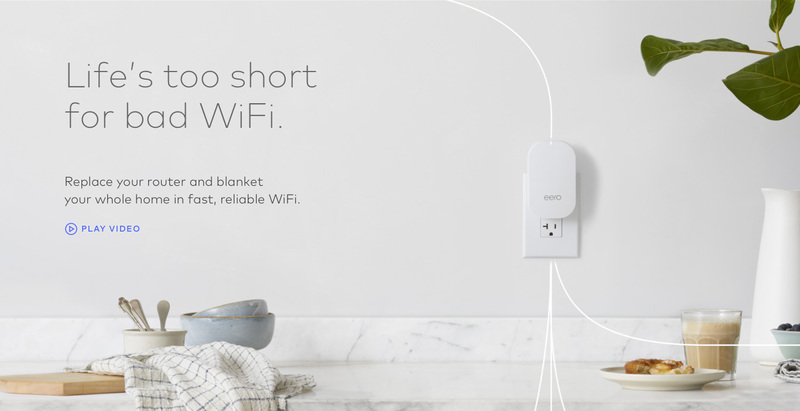 Whether you 're comfortable with technology, or dread setting up new gadgets, Eero is designed for effortless setup, right out of the box. In under 10 minutes, you’ll have amazingly fast WiFi. With a network that expands to fit your needs, you’ll finally be able to stream, work, and play from every corner of your home — and from the backyard, too.